Whitehill Welfare manager Mickey Lawson believes gaining promotion to the SPFL from the Lowland League is only going to get harder. Welfare take on Threave Rovers at Ferguson Park tomorrow after a win, a defeat and a draw in three successive away games. The Rosewell club are still in the mix to finish second in the table along with Spartans, East Kilbride, Stirling Uni and Gretna. 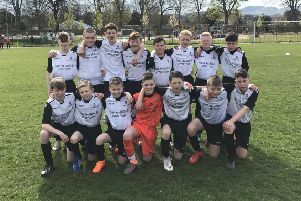 Those sides will be next season’s likely contenders for the Lowland League title – along with Edinburgh City should they fail to win promotion – and Lawson believes the task will be even tougher as the division gets stronger. “This season was probably the best chance for any aspiring SPFL side to get out of the Lowland League because the ‘new’ boys are only going to get better,” he said. Lawson’s men have games in hand on those above and can make up ground on Stirling Uni with a win over bottom club Threave tomorrow, although their quest to finish “best of the rest” has been dealt a blow with the news that Kerr Dodds’ season is over due to a ruptured cruciate ligament.